Just when you think everything is fine and dandy, something happens to mess up the apple cart! Yes, I have been missing as of late. My 93 year old father caught a bug and things have not been quite the same since. 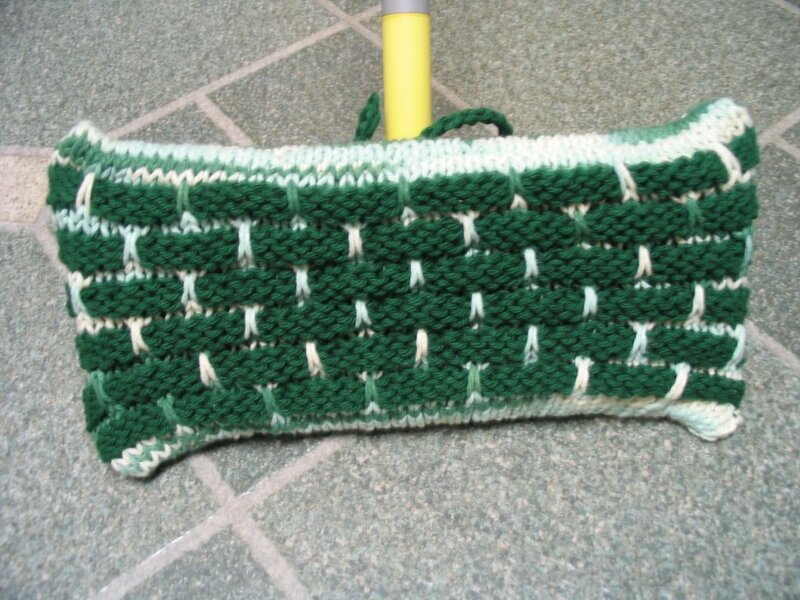 Noro virus is the culprit. After he caught the virus during a terrible outbreak at his assisted living home, he became dehydrated and weak. He fell and was so tangled up in his walker that three CNA's needed to call 911. Needless to say he was taken to the hospital, given fluids and was released back home. He was home approximately 2 hours when he fell for a second time. The next day his doctor sent him back to the hospital because he was so weak. Three days later he was sent to rehab. He is going to lose the tips of two of his fingers on his right hand. He has dry gangrene due to the crushing walker incident. Provided he does not get them infected, the tips should just fall off themselves. It's a ghastly site to behold. My heart aches for him and his progress has been severely hampered by these poor fingers. He's been in rehab now five weeks. Five weeks in a wheel chair. Five weeks of being very dependent. He can walk with his walker, but since he is a fall risk he's restricted. He was given clearance to go from wheel chair to toilet, but fell on Sunday. I really want to get him back home....hopefully the day will come soon, sooner than later...I hope. In the meantime, I've been visiting him everyday. Besides that and taking care of my family I have not been able to do much else. I've pretty much just put my blogging on hold. I will try to play catch up with my blogging once again, but I may not be too successful at it until Dad get's out of rehab and I feel I no longer need to visit him everyday. It certainly take up any spare time I may have. 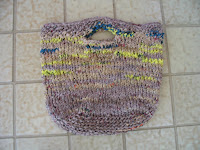 My knitting has suffered lately as well as my blogging. I'm not really inspired at all to start a new project. The only thing on my needles right now is a baby prayer blanket. That is all I can handle at the moment. 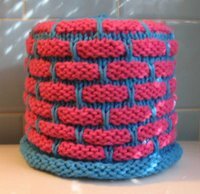 Hopefully things will change soon.....maybe once I start visiting blogs again I will feel the need to start another project. Copyright ©2010 hakucho, All Rights Reserved. I am so sorry to hear about your father. As much as you can't wait to get him home, I'll bet he can't wait to be there himself! I'll keep you both in my prayers. Hang in there. You will get through this challenging time...one day at a time. Sending good thoughts your way....I hope your Father is home soon. I was wondering how you are doing. I am so sorry to hear that your father is not well. Your post brought tears to my eyes. Hope things start looking up for you and your family. I'll be keeping you in my thoughts and prayers. Oh Deb, I'm so sorry to hear your father is doing so poorly. I hope he gets stronger soon and can get back home again. That blanket is beautiful! And don't be so hard on yourself about your embroidery skills. 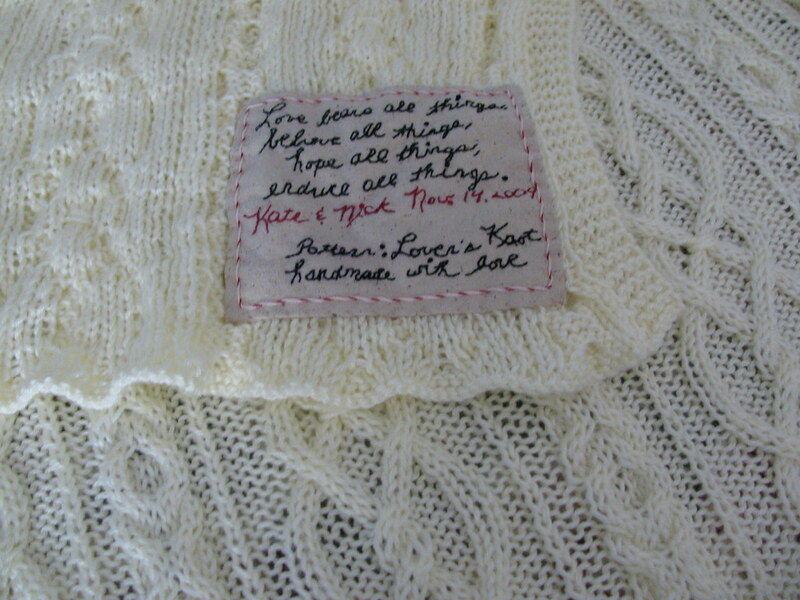 That is a lovely label, I am sure your son and daughter in law were so happy to get a blanket knit with so much love. The tag is such the perfect addition. I know if I were to receive something with such a sweet tag on it, I would burst in to tears! I am so sorry to hear about your father - I hope he heals quickly and gets back to a point of stability where you can bring him home. My thoughts are with you and your family in this difficult time. 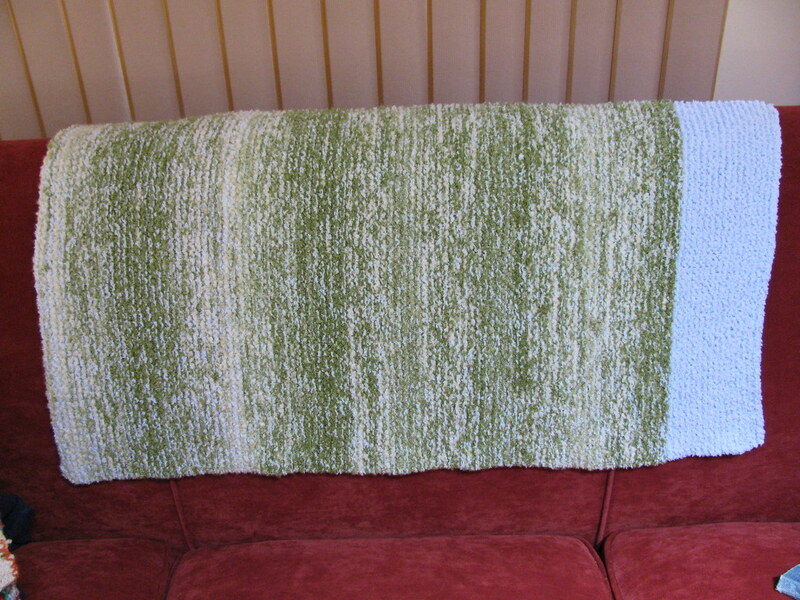 The blanket is gorgeous - it must be an amazing feeling to get it done and give your son and his wife an heirloom! Damn, woman, that is nothing short of beautiful! Sending good thoughts and prayers for your dad. What a wonderful daughter he has, too, to visit him everyday as you do! 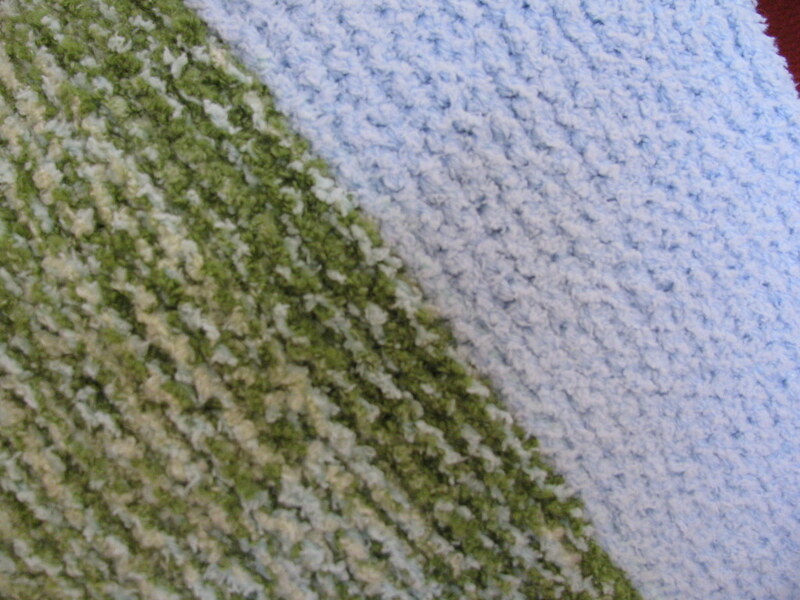 I'm in awe of the beautiful, beautiful blanket! My hat is off to you & your perseverance! I giggled when I read you were sick of it; I just can't imagine a project so large myself. my heart goes out to you and your dad- this is just a terrible ordeal ! Why do our elderly loved ones have to suffer in their golden years? I know this is very stressful for you and your family. You are a good daughter! I'm hoping for you and him, that he'll be better soon, so he can come home. Wow, reading this made me cry (as I am having similar issues with my dad, which is why I took a blog break). Best wishes and prayers for your dad and your family. It's a good thing he has you watching out for him. I'm so sorry for your dad's illness. Sending healing vibes his way. Understand so completely where you are right now. Now that it's been a year since we lost Mom, my need to be Dad has diminished a little. But, several months ago his 90year old sister feel at home, had a stroke, ended up in the hospital and then rehab. She lives out of town alone. Her daughter lives in Arizona (we're in Ohio). So, Dad and I have gone once or twice a week for the past 2.5 months to take care of things. It's never ending I fear. She's back home now, though I wish she weren't. Her daughter doesn't seem to realize she shouldn't be living alone. The recommendation was 24 x 7 care if she left rehab. They've lined up 2 hours a day for a care giver to be there. It worries Dad and I alot; but we're not the ones making the decisions. The daughter came for a few days when she was first hospitized and again for about 10 days to release her from rehab to home. I know the phone's going to ring and there will be another crisis. It's only a matter of time. Hang in there, my best to you and your Dad. Love the sentiment on the tag. The blankie does indeed look soft. Interesting with the one blue end. I'm so sorry your dad is struggling....I hope things will improve for him soon. And I know how stressful that must be and how tiring when you're going to visit every day. 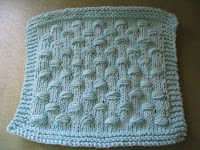 The blanket is so beautiful - I can imagine you were very tired of it - I have a hard time making myself complete a baby blanket! LOVE the idea of the tag with the heirloom silk. Fitting for such a special blanket. Best wishes to your dad and your whole family. Making my rounds again from Sandy's Space to check on my blogging buddies. Hope things are improving for ya. 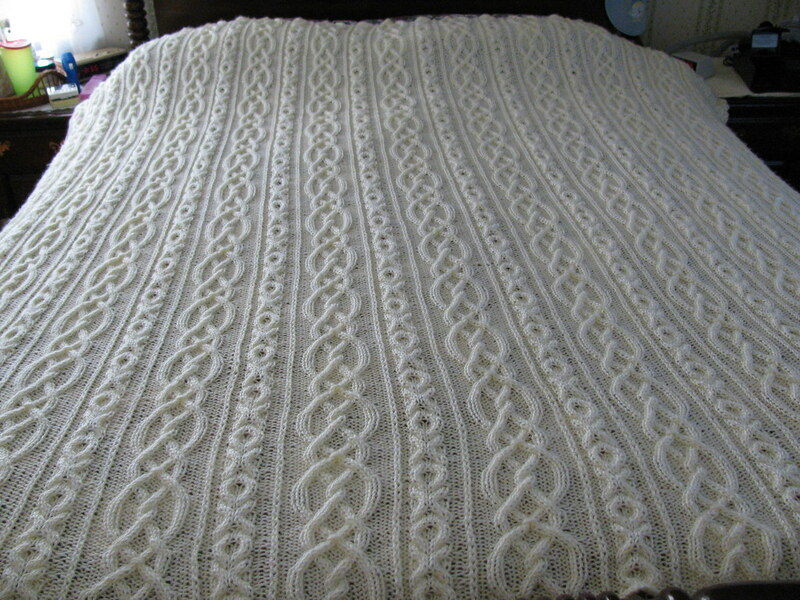 LOVE that blanket but I know I would not have even started such an expanse of knitting!! 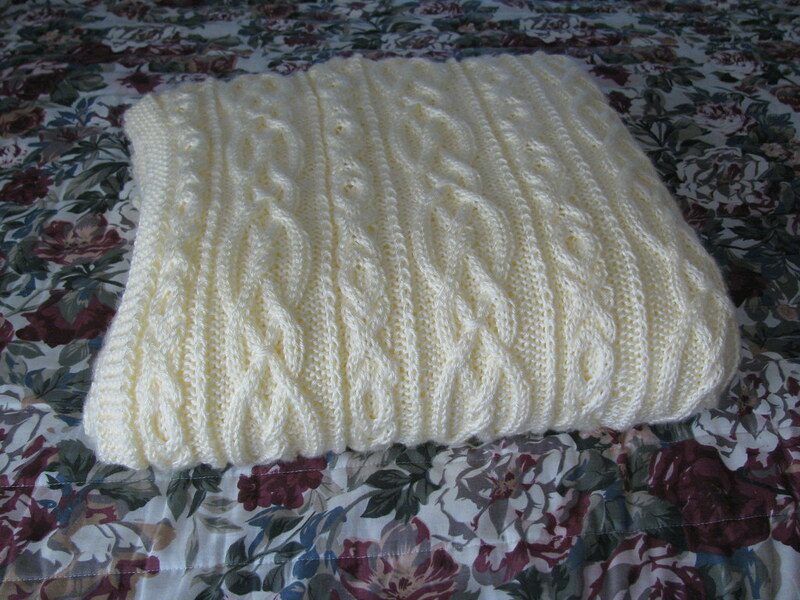 Lovely you for knitting a replacement blanket too, look s very soft and squishy..